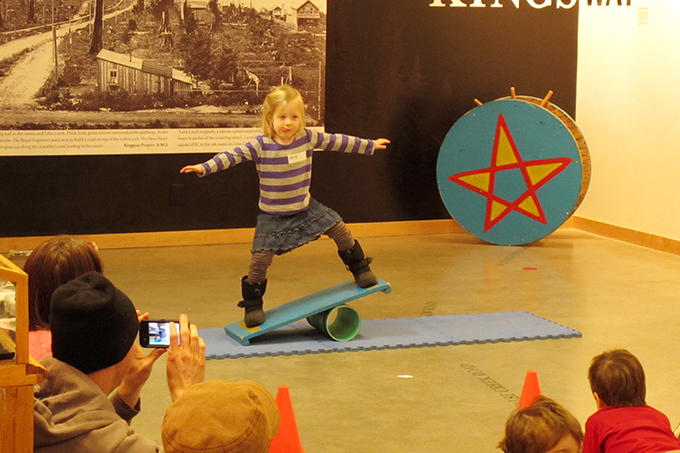 The March edition of ArtStarts on Saturdays featured a fun, interactive workshop with Sand Northup, the amazing One Woman Circus. Kids braved the thrilling Wheel of Death (! 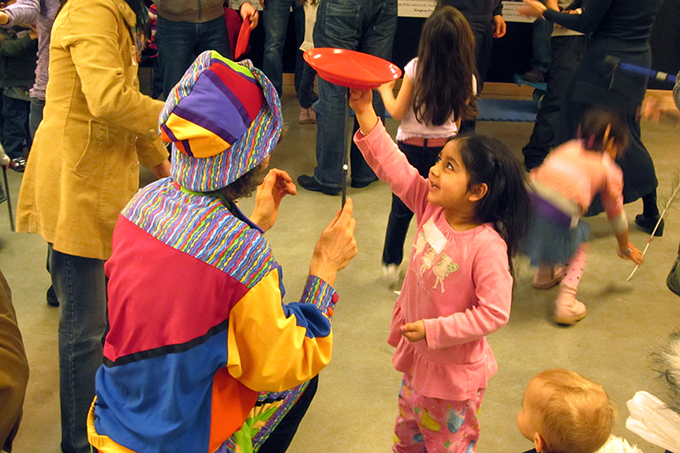 ), spun plates and much more in this laughter-filled event. One Woman Circus' many talents include juggling, unicycling, and making audiences laugh uncontrollably. You just can't resist having a good time during Sand's show... in fact, you might even be inspired to run away and join the circus yourself! The next installment of ArtStarts on Saturdays will take place on Saturday, April 28, 2012 at 11am and 1pm with dubD3000 Hip Hop Robot. See you then!